Authentic Polish Kielbasa is a delicious delicacy that can only come from age old recipes. 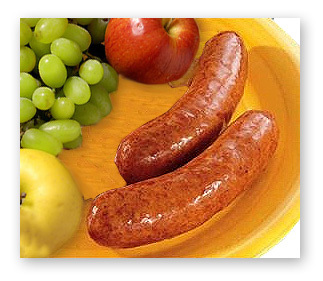 Kielbasa is made from the freshest of all lean pork and beef, which is smoked to perfection. Great grilled, boiled, fried, or cooked on a stick over an open fire. This timeless treasure of a sausage has been around for what seems like forever. Our treasured blend will make 10 pounds of this Polish delight! Nitrite cure is packaged separately so this sausage can be packaged as a fresh product and frozen.